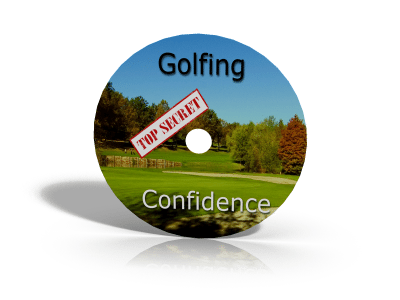 Want to Learn the Secrets to Becoming a Confident Putter and Lowering Your Scores? "Give Me 5 Minutes and I’ll Show You How to Stand Over Every Putt Knowing You’ll Hole it Or Lag it Close… Every. Single. Time." Here’s the cold hard truth...you may never hit it 300 yards. You may never pull a heroic flop shot out of thin air like Mickelson. Heck, you may never hit laser like iron shots all day long like Zach Johnson. But you can learn to putt like those guys, because putting requires absolutely zero athletic ability. Let me repeat that...there is no “talent” or “God given ability” in putting. You can learn to putt just as good as the guys on the PGA Tour, and I’m going to show you how. But first, you need to understand there is something holding you back. There’s a nasty problem that is keeping you from putting like the men and women you see on tour. It isn’t that you need to “practice more,” or need some new tip that you haven’t heard before. You already know that 43% of golf is putting….and you’ve probably tried a lot of things to improve. So to learn how to putt like a pro you don’t need any more tips or random ideas on how to hole more putts. If you want to become as good a putter as a PGA Tour pro you should never practice improving your stroke on a putting green. When you miss or make a putt on a green there is basically no feedback as to WHY you missed or made the putt (in terms of your stroke). This lack of feedback is not good and does not help you to improve long term. If anything – it makes your putting stroke worse and more inconsistent. 1. Simulating course conditions (which increases your mental toughness and gets you "prepared for battle"). 2. Improve your feel & touch on the greens so you can hit each putt with the ideal "holing speed." 3. Practice how to read greens from a variety of angles & positions (uphill, downhill, left to right, right to left) so that green reading becomes more natural when you're on the course. That’s it. If you’re trying to groove a perfect putting stroke on the greens, you’re severely hurting your chances of improving your putting over the long haul. Unfortunately, I learned these things the hard way. You see, when I was much younger I had dreams of playing on tour. And when I putted well I could easily score in the 60’s. But when my putting was bad I was scoring mid to high 70’s and that was happening way too often. I was a great ball striker...but to put it bluntly, my putting flat out sucked. Hitting the ball like a pro and putting like a 20 handicap is not fun...at all. I would consistently have birdie putts in the 6-12 foot range on par 4s only to lip out, or worse never even hit the hole. It was embarrassing to be quite honest. But you know what was even worse? I would be on par 5’s in two consistently, only to 3 putt and walk off with a par. It was beyond frustrating. I was at my wits end. Here I was, playing with guys who were not nearly as good of a ball-striker as I was, yet they were cleaning my clock because they could roll their rock. I was desperate to putt better. If I couldn’t find a solution to improve my putting fast I might as well go ahead and start folding polos in the pro shop. So what did I do? I headed off to the putting green to practice even more. I also bought putting books, read putting tips in magazines, purchased putting videos, went to pro’s for putting lessons, bought new putters, tried putting gadgets...the list goes on. I’m sure if they had the Internet back then I would have watched 100 videos a day on Youtube trying to figure out what the heck was wrong with my putting! I ended up confused, frustrated...and got worse instead of better! I couldn’t believe it….here I was spending hours on the greens trying to putt better, killing my back, hands, and fingers in the process, only to get worse! So I vowed at that point I was going to become a great putter. And when I did, I was going to teach as many other golfers as possible how to do the same, because I know how painful poor putting is. Unfortunately...it took me a lot longer than I expected (years in fact). Here’s the reality...there is so much BAD advice on what it takes to become a great putter. And it took me so long to find out all the essential ingredients needed to become a great putter that I missed my chance of playing on Tour. As a result I brush 3 footers in all day long without even a hint of anxiety (I don’t even ask for gimmies anymore). I lag long putts close to the hole leaving easy, stress-free tap-ins. I haven’t 3 putted even once during my last 6 rounds of golf. Oh and did I mention I also putt well under pressure and I enjoy playing golf so much more now? Once I completed my study into becoming as good a putter as any PGA Tour pro I then started to share the system with other golfers who suffered from poor putting, and the results were amazing. Have unshakeable confidence over those short “knee knockers” inside 6 feet. Transform into an expert green reader who is able to gauge line and speed with precision every time. You’ll be able to lag long putts consistently close to the hole leaving easy tap-ins. Have your playing partners wondering “who the heck is this guy?”. Stop wasting several shots per round with stupid 3 putts. Make more pars and birdies by one-putting more greens. Build a consistent, rock-solid putting stroke that performs well under pressure. Have confidence over your short putts so you hole them with ease. 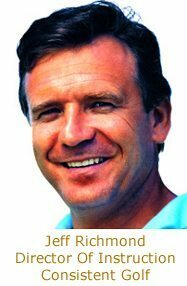 You’ll learn the simple, natural method I used to groove a great putting stroke that took me from a below average putter and turned me into a great putter. Discover the “perfect putting setup” technique that you can practice at home in front of a mirror. Learn how great putters are able to adjust their focus and attitude to nearly will the ball into the hole. You’ll get instructions and access to an online calculator that will help you find the ideal lie angle and length of putter that will help you sink more putts. You’ll learn in full detail a putting grip that makes it difficult NOT to make putts. How to square the putter face so your ball starts on your intended line every time (most amateurs have no idea how this works). How wide your stance should be for consistent, stable putting. The ideal weight distribution and “feeling” you should have at address for great putting. How to ensure your eyes are positioned perfectly over the ball every single time. How to address every putt the exact same way to ensure you make more putts. 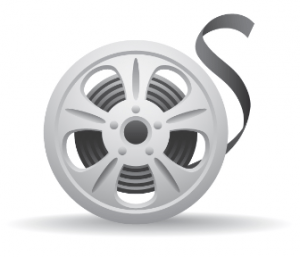 How to build an unshakeable internal confidence & self belief. This is a one of the big secrets that separates great putters from average putters, even if they miss a few putts. How to use counting to develop a silky smooth putting stroke. How to judge speed perfectly every time so that you make or more putts, or leave yourself easy tap-ins. How to accelerate through your putts without actually trying to do it. It’s cool and simple.The best tempo to help you have a consistent, stable stroke all the time. It’s the specific tempo the best golfers in the world use and you’ll learn it too. Find out how to hit every putt solid so you can control the distance of your putts with great precision. This is critical. How to have a great, nearly automatic putting stroke that works under pressure. Get access to 28 great putting drills and games you can use on the practice putting green to help you become a great putter on the golf course. These are the same drills the pro’s use and they will help you to build up great distance control and short putting confidence. You get access to a PDF with all of these putting drills so you can print them out and take them to the golf course with you. I make it easy! Just imagine...you could improve your putting significantly before your very next round of golf! How would you like to impress your playing partners? What would full confidence over every putt do for your game? What if you could virtually eliminate 3 putts, while simultaneously making more birdie and par putts inside 15 feet? Most importantly...how much fun are you going to have playing golf for the rest of your life knowing that you are a great putter? You can’t put a price on confidence like that! 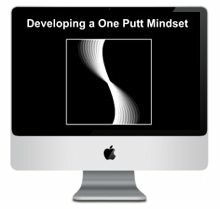 I’ve searched high and low for a complete putting program, and I’m convinced there is nothing on the market anywhere that will improve your putting like my 5 Minutes to GREAT Putting program. In the past, this program was only available to students as part of my more comprehensive, total game improvement Consistent Golf School program. Students paid a minimum of $222 to access the program, and were drip fed lessons over a period of 6 months. While Consistent Golf School is a great program, I decided to offer 5 Minutes to GREAT Putting as a stand alone product for those who were specifically interesting in gaining more confidence on the greens and draining putts effortlessly. Plus, I wanted to give all golfers out there an affordable option to improve their putting quickly, without having to go through my 6 month intensive program. So right now, you can get the 5 Minutes to GREAT Putting program, as well as the 5 free gifts below (delivered to you instantly in digital format) without having to pay anywhere near the full $222 asking price for my other program. As good as The Putting Game Improvement program is… sometimes you’ll just want to get some personal advice about your current problem. And when you get The Putting Game Improvement Program now you can send me any golfing questions or problems (within 6 months of your order) and you’ll get a response back from me personally (Jeff Richmond) within 24-48 hours (generally sooner) Monday-Friday. When you get The Putting Game Improvement program now you’ll get one free video lesson to redeem when you want – in the next 6 months. So simply send me your putting stroke on video and I will analyze your stroke and send you back advice and a plan on what are the main things you need to work on improving. Just imagine if you stopped 3 putting. If you can’t improve your scores significantly with all of these products...you may need to find a new hobby (kidding!). Believe it or not, I’ve even left some things out. I believe in over-delivering, and have a few surprises waiting on you once you purchase my 5 Minutes to GREAT Putting program. If you were to purchase all of these products separately based on prices they’ve sold at in the recent past, plus the 5 Minutes to GREAT Putting program, your total investment today would be $324.85. BUT you aren’t going to pay anywhere near full price! In fact, I’m going to offer you the entire package above at nearly a 90% discount! That’s right, when you get The 5 Minutes to GREAT Putting program today and all of these added bonuses (worth $324.85), you’ll only pay a one-time fee of $97 $77. That’s a saving of nearly $300 bucks. But, this special is only available for a limited time and it can be pulled at anytime. So if you want to get access to all of these great instruction programs at nearly 90% off of retail, simply click the ‘Add To Cart’ button below. 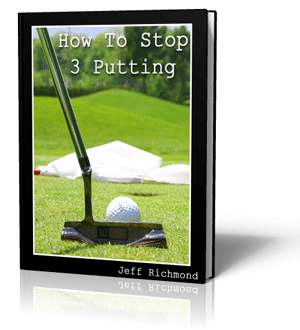 You’ll get instant access to the 5 Minutes to GREAT Putting program, as well as all of the bonuses instantly (even if you can’t sleep and it’s 3am right now). When you get the 5 Minutes To GREAT Putting program now you get a full 60 day money back guarantee. If you’re not happy with it for any reason then within 60 days of getting it you can get 100% of your money back — without any hassles. Finally, I look forward to helping you to become the best golfer you can become and fulfilling your potential so you’ll have more fun and enjoyment playing golf. To do this simply get out your credit card now and click the Add To Cart button below and process your order securely through Clickbank. continue to ruin your golf game! Aren’t you sick and tired of missing so many putts? Aren’t you tired of seeing those 3 and 4 footers lipout? And aren’t you sick of 3 putting several times per round? If you can’t putt, it’s very hard to have fun on the golf course! Just imagine playing each and every round of golf knowing that your putting was a strength instead of a weakness. Imagine how much stress that would take off of the rest of your game. When you can putt, you can shoot a good score even when you aren’t hitting the ball well...it’s just that simple. The confident feeling you’re looking for? It will never happen unless you take action and create better habits. And now for a mere $97 $77 (probably less than the cost of your next greens fee, drinks and food) you could become the putter you’ve always dreamed of. You could keep doing what you’re doing but as you know, you’ll get the same results. There’s no need to struggle when the answers are just beyond this page. Don’t you think you owe it to yourself to take action – do something completely different and stick to a plan that is going to improve your putting before your very next round? Take action now. Simply click the “Add To Cart” button below. Then after we have successfully processed your order, you’ll be directed to a page to get access to everything mentioned on this page. Look, better putting is just around the corner, and life is too short to be frustrated with poor putting. The time to take action is now. I’m going to teach out step-by-step how to be a great putter, and if you find that this program isn’t for you, then you have a full 60 days to ask for your money back. This could be the one solution you’ve been looking for to drastically improve your putting and finally have confidence on the greens, but you’ll never know unless you give it a try. So stop dreaming and start doing. 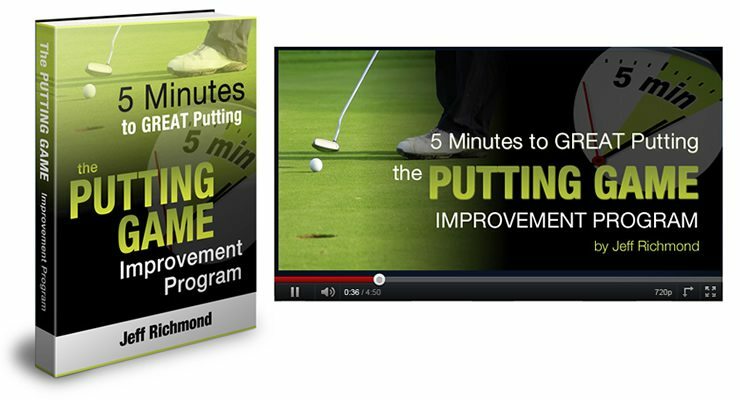 Take action now and get the 5 minutes to GREAT putting program today! So what are you waiting for? You’ve found the one solution to your putting problems that you’ve been looking for. The search is over. You just need to take action by clicking here to start your 60 day free trial now. P.S. When you get the 5 Minutes to GREAT Putting program now by clicking the ‘Add To Cart’ button below it will be processed by Clickbank. They accept all of the major credit cards and PayPal and implement some of the strongest security and anti-fraud strategies available today. So your order is completely secure and safe with them and that’s why I choose them to process our orders.